Dr. Miller was drawn to medicine as a calling, deeprooted in concern for people and helping them live better lives. Dr. Miller attended Columbia University and then Cornell Medical School in New York City. He continued his education at the Mayo Clinic in Rochester, Minnesota. At Mayo Clinic, Dr. Miller participated in groundbreaking clinical and scientific research in osteoporosis, calcium metabolism, and how hormones work. 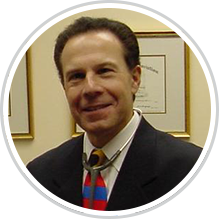 He is board certified in both internal medicine and endocrinology. Dr. Miller returned to his native San Antonio in 1977 to the University of Texas Health Science Center San Antonio Faculty where he practiced and taught students and residents endocrinology and directed the clinical research center at Audie Murphy VA Hospital. Since 1978, Dr. Miller has been in private practice in San Antonio. He actively diagnoses and treats patients with diabetes and other hormone disorders, and he directs clinical research studies to help patients with these problems. Sam S Miller MD is the founder and the medical director of his private practice and medical research clinic, Science Advancing Medicine Clinical Research Center (SAMCRC), in San Antonio in the South Texas Medical Center connected to Methodist Hospital. Dr. Miller and his team specialize in endocrinology, metabolism, and diabetes management.